COLOR(S): Red and white, black and white, sable and white. Solid or tri-colored. A Cavachon is a hybrid that is a cross-breed of a Cavalier King Charles Spaniel and a Bichon Frise and may demonstrate any combination of traits from those two breeds. Hybrids have become very popular in the past few years. They play a big role in the current designer dog trend. The experimentation of these hybrid or designer dogs has not been recognized by the American Kennel Club or Canadian Kennel Club. The key to cross breeding to purebred dogs is what is called hybrid vigor, the breeding resulting in a healthier dog with superior genetic constitution can come from dogs purebred for so long that they have common genetic disorders. Sweet and innocent like the Cavalier, yet bouncy and peppy like the Bichon. The Cavachon is appealing to pet owners because of its qualities that come from the Cavalier King Charles Spaniel, such as friendliness and sweetness, along with its beautiful varied coat colors. 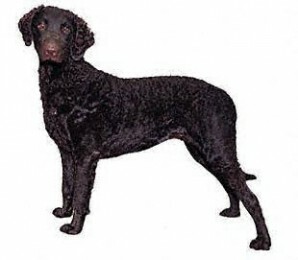 Its powder puff coat is attractive and its temperament makes for a great companion dog. Cavachon's may be prone to such health issues as ear infections, skin problems, sensitivity to flea bites, heart problems, and hip dysplasia.